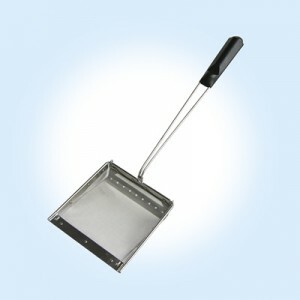 In another look at the components we produce and the plaices they end up, we’ve got just the scoop.No, really – we have helped to develop a rubber handle for a chip scoop for use in fish & chip shops across the country. You could say we’re helping to feed millions of hungry Brits every Friday night. It’s a tenuous link, but a link nonetheless! Working alongside Drywite to develop the fish & chip scoops, we helped design an FDA approved rubber handle specifically intended to give a more comfortable and tactile scoop, something I’m sure we’d all appreciate on a busy night behind the chip counter. Not to mention the sales of the new scoops have increased substantially since they went into production about 3 years ago. 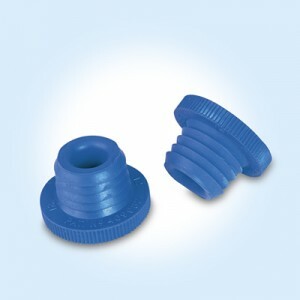 The second image is a blue FDA approved plug which goes into the Drywite chip bucket. 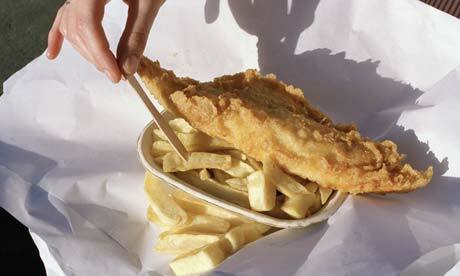 So, we’re certainly doing our part when it comes to helping you get your chippy tea! At Fairham, we are consistently designing and manufacturing countless products that end up being used for a wide range of different purposes. These purposes range from walking stick ends, parts used in the restoration of old vehicles, septa seals – used in the medical industry in test tubes, right through to the defence sector and night vision goggles! We produce silicone products in the production processes for LED lighting strips, which are used all over the world on a range of buildings, bridges and walkways. We produce these components for ACDC, the lighting company based in Barrowford -not the Australian rock band (although, I’m sure they probably do use some in their live shows). ACDC have worked on some of the most prestigious projects in the world from Paris to Singapore and from Frankfurt to Abu Dhabi. This means that our rubber components can be found (if you look close enough) on almost every corner of the globe – pretty cool, eh? Priding themselves in being able to offer the most advanced and efficient LED lighting products in the world, we are proud to be trusted suppliers to ACDC – helping them light up the world, one city at a time!